Liftoff, expected at freezing temperatures below -20°C, is set for precisely 2:07:18 UTC to mark the start of an eight-minute and 49-second climb by the Soyuz 2-1A rocket to be followed by a multi-hour mission of the Fregat upper stage to dispatch the mission’s payloads – a pair of Kanopus imaging satellites and nine micro satellites – into two different orbits. 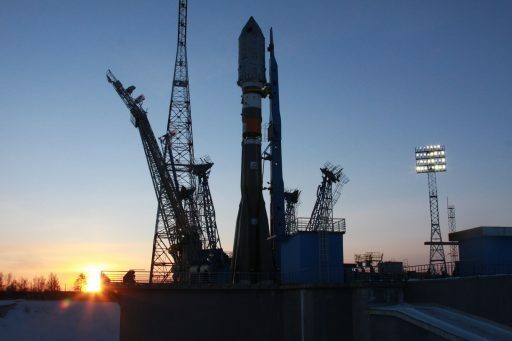 Soyuz was also looking forward to a multi-orbit mission when last lifting off from Vostochny, carrying the Meteor-M 2-1 weather satellite plus 18 international satellites riding as secondary payloads and set for a complex up-and-down mission into five different orbits. 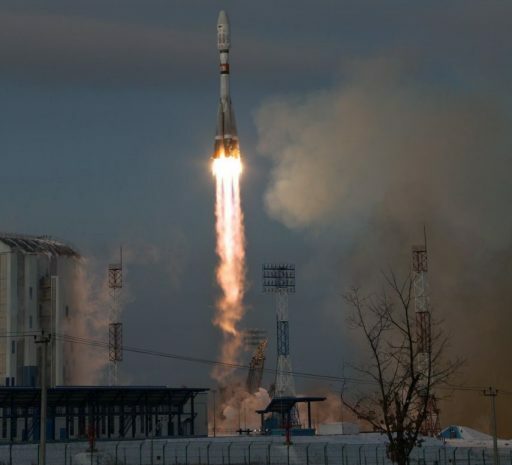 Blasting off on November 28 from Vostochny’s 1S Launch Complex, Soyuz appeared well on its way and operated flawlessly for the first nine minutes and 23 seconds of the flight while the three stages of the Soyuz 2-1B were in action. Trouble struck when the Fregat upper stage assumed control of the mission, set for a brief minute-long burn to nudge the stack into a stable transfer orbit. Immediately after separation from Soyuz, Fregat literally spun out of control – overwhelming its inertial guidance system and causing Fregat to completely lose knowledge of its orientation in space. As a result, it pointed its engine to the wrong direction for its critical orbit injection burn and actually slowed itself down, placing it on a sub-orbital path toward re-entry after barely half a lap around the planet. Pilots over the North Atlantic saw Fregat’s fiery demise as a slow-moving fireball in the night skies near Iceland. The root cause of the failure was quickly identified as a previously unknown software bug in the Guidance, Navigation and Control System that came as the result of the unique geographical geometry between the 1S launch pad at Vostochny, the rocket’s northerly launch azimuth and the requirement to roll Soyuz into a certain orientation immediately after launch per the needs of its own flight controls. The actual culprit – a ten-degree offset between reference axes of Soyuz and Fregat – could only come into play when the roll executed by Soyuz after liftoff exceeds 170 degrees which had never been the case for Fregat’s 64 prior missions from launch pads at Plesetsk, Baikonur & French Guiana because of their different orientation with respect to North. When Fregat assumed control of the mission, its guidance platform sensed it had been 360 degrees off its roll target and failed to recognize the 360° position as the same as 0°, placing the upper stage in a roll that overwhelmed a subset of its gyroscopes and caused it to lose its inertial reference frame. 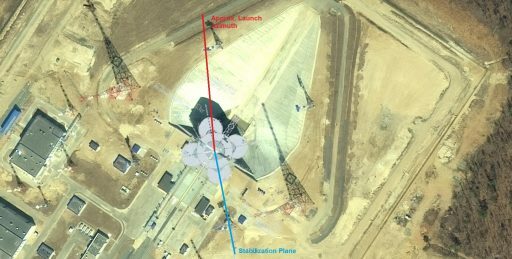 An investigation into the failure was tasked with identifying corrective measures to ensure future polar-orbit missions from Vostochny would not fall victim to the same failure mechanism. 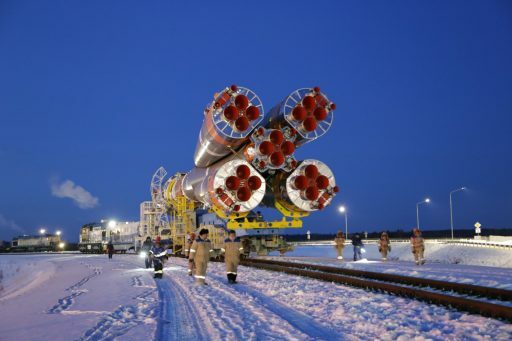 Since the problem purely manifested within software, changes could be implemented rather swiftly to move Soyuz back into a launch posture just over two months after the mishap. The Soyuz 2-1A/Fregat mission with the Kanopus-V No. 3 and 4 twins and their smaller companions was originally planned for December 23 . 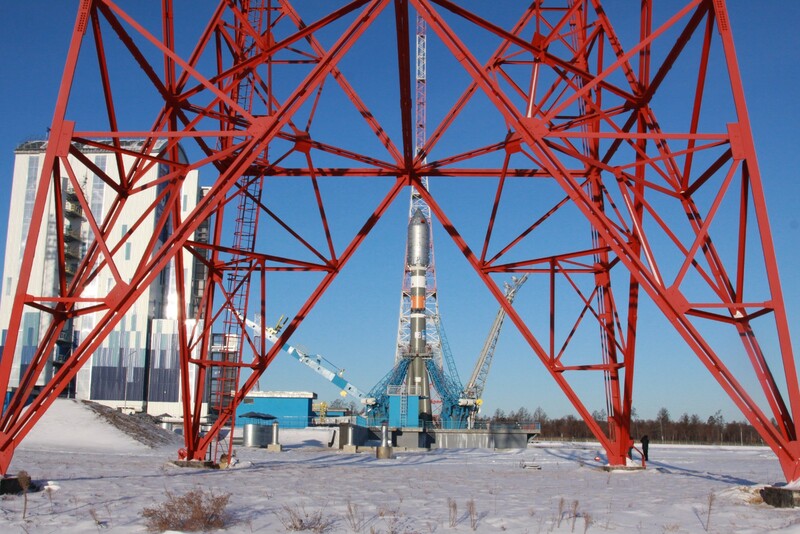 Preparations at Vostochny kicked into gear back in September and the assembled Soyuz 2-1A, including its fairing and Fregat Upper Stage, was moved to the 1S launch pad on October 4 for a comprehensive integrated test of the launch vehicle and the ground support equipment at the complex. 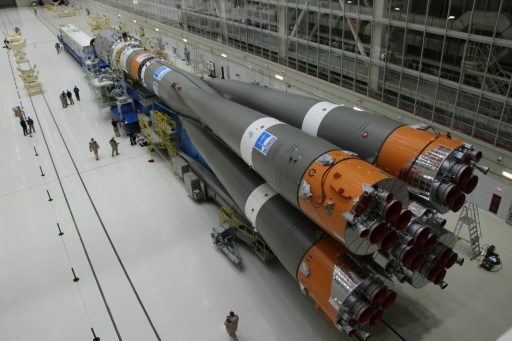 This was completed with particular focus on the Fregat upper stage and its support systems as Fregat had never flown from Vostochny before (the only prior flight in 2016 used a Volga upper stage) to ensure the interplay between ground segment, launch vehicle and upper stage was as expected. The Soyuz 2-1B for the Meteor mission had not yet arrived at Vostochny, explaining why Soyuz 2-1A that had finished production & testing earlier was used for the multi-day testing campaign. Soyuz 2-1A was then moved aside in the large processing hall to give way to the 2-1B vehicle and the Meteor mission. Parallel campaigns were underway in November following the arrival of the two Kanopus-V satellites for final processing and testing activities. 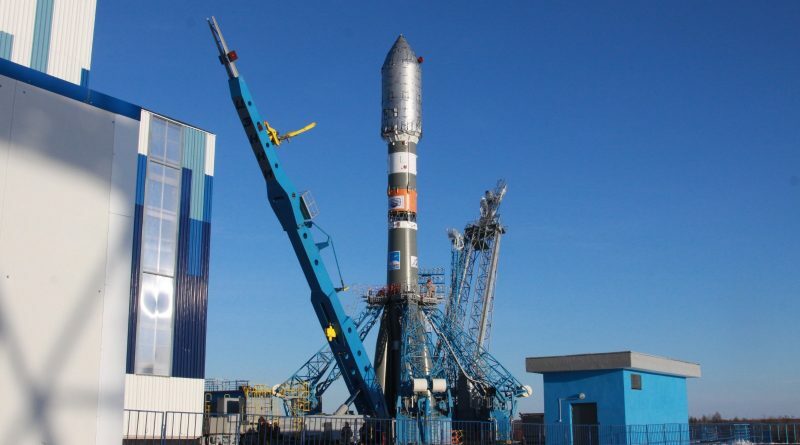 After the anomaly with the Soyuz 2-1B/Fregat mission, launch preparations were put on hold while the initial portion of the investigation was underway. As it became clear that the fix could be accomplished purely through software modification, launch preparations resumed for a re-aligned target of late January, later pushed to February 1st. 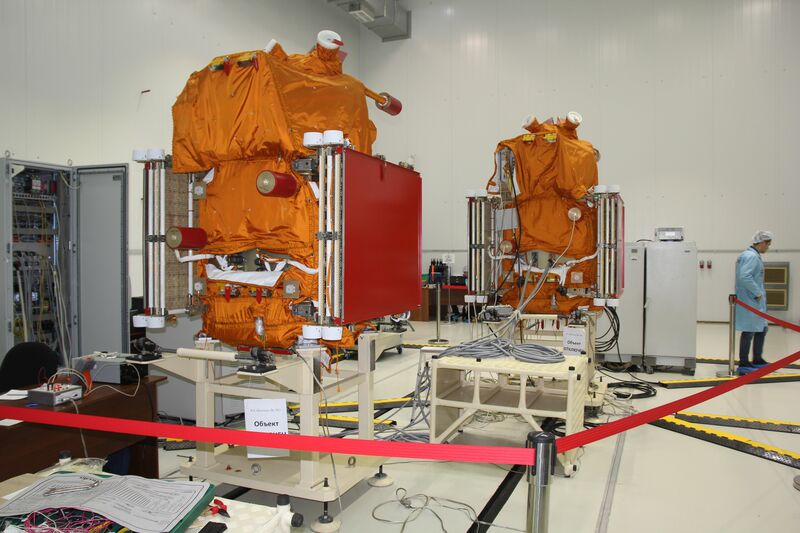 The two Kanopus satellites and the deployers containing the secondary payloads completed integration atop the Fregat Upper Stage over the course of January, followed by encapsulation in the protective payload fairing and integration with the 2-1A launch vehicle. The payload stack was also seen containing a number of mass simulators acting as dummy payloads, indicating the flight once planned to deploy additional small satellites. 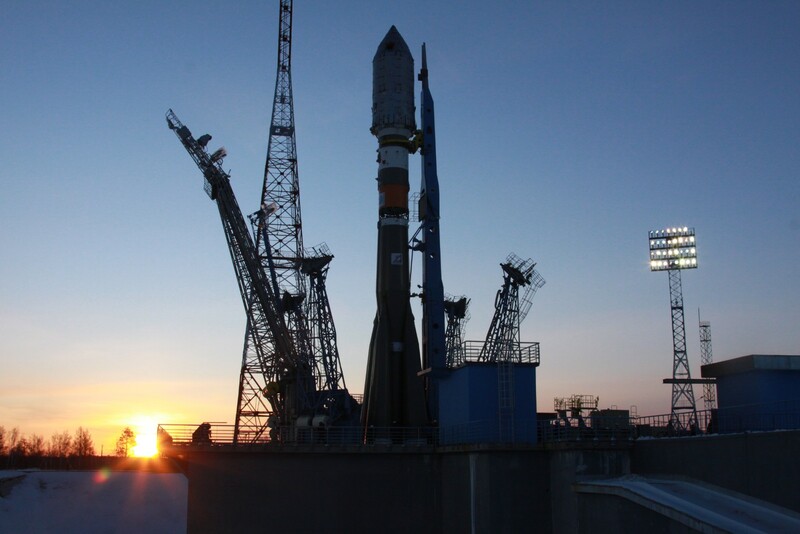 Soyuz returned to the 1S launch pad on January 29, rolling out at the traditional early morning hour. Teams braved temperatures below -25°C as winter has a firm hold of Russia’s Far Eastern region and the weather outlook for launch day does not look much different. 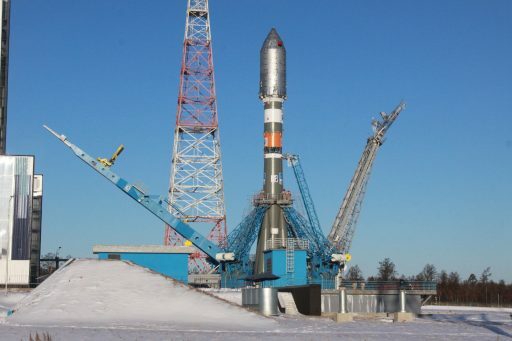 Once Soyuz was standing tall atop its launch table, it was enshrouded by the Mobile Service Gantry to keep it out of the elements while a two-day testing campaign was underway to clear the path toward countdown operations on Thursday, setting up for an 11:07 a.m. local time liftoff. Firing up its four liquid-fueled boosters and core stage, Soyuz 2-1A will rise from the snow-covered Cosmodrome with a launch thrust of over 420 metric-ton-force, initiating its pitch and roll maneuver shortly after liftoff. 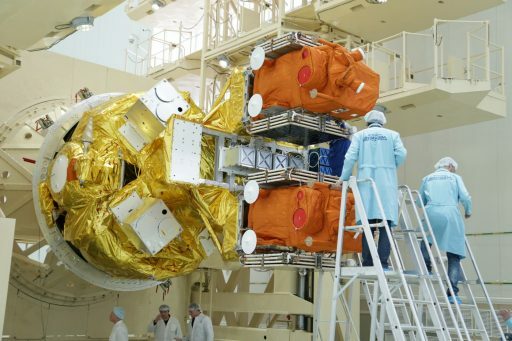 Given the target orbit being very similar to the November 28 mission, Soyuz & Fregat are facing a similarly large roll of around 173 degrees – putting the fix implemented after the failure to the test straight away. Turning north, Soyuz will drop the boosters one minute and 58 seconds into the flight after each consumed nearly 40 metric tons of Kerosene and Liquid Oxygen propellants to help accelerate the Soyuz to over 1.5 Kilometers per second. With the 19.6-meter long boosters spiraling away from the core stage, Soyuz will continue powered flight using its RD-108A core stage engine alone, heading toward space with a thrust of 102 metric ton-force. Soyuz will jettison the protective payload fairing three minutes and 48 seconds into the flight and the core stage will exhaust its 91-metric-ton propellant supply at T+4 minutes and 46 seconds, marking the start of the hot-staging sequence. The modified Block I third stage will ignite its four-chamber RD-0110 engine and separation pyros fire split seconds later to push the spent core stage away by means of exhaust from the third stage. Delivering 30,400-Kilogram-force of thrust, the Block I will fire for almost four minutes, shutting down eight minutes and 45 seconds into the flight after pushing Soyuz to near-orbital speed. Separation of the Orbital Unit occurs four seconds later and the Block I third stage will continue on its sub-orbital arc toward re-entry and impact in the Atlantic Ocean, just shy of the coast of French Guiana and Brazil. For the Fregat upper stage, the first order of business will be transitioning the stack from a sub-orbital path onto an orbital trajectory, firing up its 2,000-Kilogram-force S5.92 engine on a burn of 55 seconds to set the high point of the orbit to just over 500 Kilometers. Next will be half an orbit of coasting before Fregat’s second burn at T+55:52 to circularize the orbit at 510 Kilometers in altitude via an 85-second firing of the S5.92. This will set the stage for separation of the two Kanopus-V No.3 and 4 twins at T+59 and T+65 minutes. Each weighing in at 490 Kilograms, the satellites are part of Russia’s civilian Earth Observation fleet comprising the larger Resurs satellites for high-resolution imaging capabilities and the smaller Kanopus spacecraft for rapid revisit coverage and fire detection. The No.3 and 4 satellites join the first Kanopus-V craft launched in 2012 as a prototype mission and Kanopus V-IK that launched last year as a specialized constellation member with high-fidelity infrared vision. Once the two Kanopus satellites are on their way, Fregat will complete a co-elliptic orbit-raising operation via two engine burns of 67 and 66 seconds at T+96 and T+139 minutes to set up for the separation of the secondary payloads – four S-NET microsatellites, four Lemur CubeSats and the D-Star ONE v1.1 CubeSat. The four S-NET satellites of Berlin Technical University will be first to depart the vehicle, targeting separation at ten-second intervals starting at T+2:25:44. 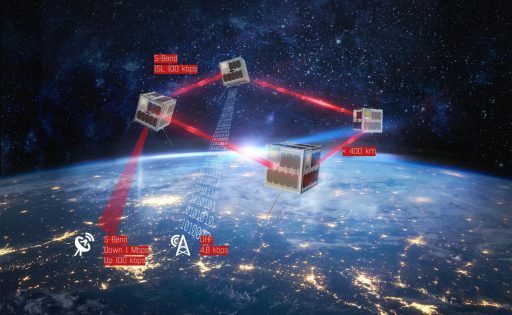 The cubical satellites with a side length of 24 centimeters will participate in an innovative demonstration mission of an S-Band inter-satellite and space-to-ground communications system which, when combined with smart software logic, could be an answer for the autonomous management of large satellite constellations with dozens or even hundreds of members. Four minutes after the microsatellites, Fregat will command its five CubeSat passengers to eject from their deployers. Four Lemur-2 satellites are part of this mission to join Spire Global’s constellation of atmospheric-sensing and ship-tracking satellites. The D-Star ONE v.1.1 Phoenix mission is the re-flight of German Orbital Systems’ original D-Star CubeSat that was lost in the November 28 Soyuz failure. Named Phoenix as the embodiment of rebirth and renewal, the mission was put together in just 44 days after the Soyuz failure using spare parts from the first CubeSat, setting out to become the first commercial CubeSat using D-star communications technology. Thursday’s flight will close with a pair of orbit-lowering maneuvers by the Fregat upper stage followed by a final deorbit burn four hours and 51 minutes after liftoff to set up for a targeted destructive re-entry over the Pacific Ocean.